Back in November, it was revealed that the long-awaited remake of The Crow will finally start shooting this spring, after Relativity Media emerges from its bankruptcy proceedings. Director Corin Hardy is on board to direct, although the project still hasn't cast its lead character Eric Draven quite yet. While we wait for more updates on this project, Alex Proyas, who directed the original 1994 classic The Crow, chimed in with his thoughts on the reboot, while promoting his new movie Gods of Egypt with Collider. Here's what he had to say below. "I personally feel like it's kind of unnecessary. I've said this many times, I've completed the original movie to honor Brandon and that's the sole reason I did it. I'm happy I did it for that reason. I sort of feel like it's his legacy and I personally don't have a lot of time for people trying to reignite that movie in other ways. So you know, to me, this is one situation where it would be nice if Hollywood kind of left it alone and let it remain Brandon Lee's legacy." Brandon Lee starred as Eric Draven in the original classic, but he was tragically killed during an on-set accident halfway through production. The Crow ended up taking in just over $50 million during its theatrical box office run, but it went on to become a cult favorite on home video in the years that followed. The movie is based on James O'Barr's beloved comic book series which followed rock star Eric Draven, who was resurrected as The Crow after he was murdered alongside his fiancee Shelly. Jessica Brown Findlay is the only cast member still attached, set to portray Shelly. Over the past few years, a number of actors have come and gone to portray Eric Draven. Bradley Cooper was in talks to star way back in 2011, with James McAvoy, Tom Hiddleston, Luke Evans and Jack Huston being eyed for the role before all bailed on the project. It isn't known if casting is currently under way to find the new Eric Draven and the rest of the supporting cast members, but we'll have to wait and see. Corin Hardy will direct from a script by Alex Tse and Jesse Wigutow. 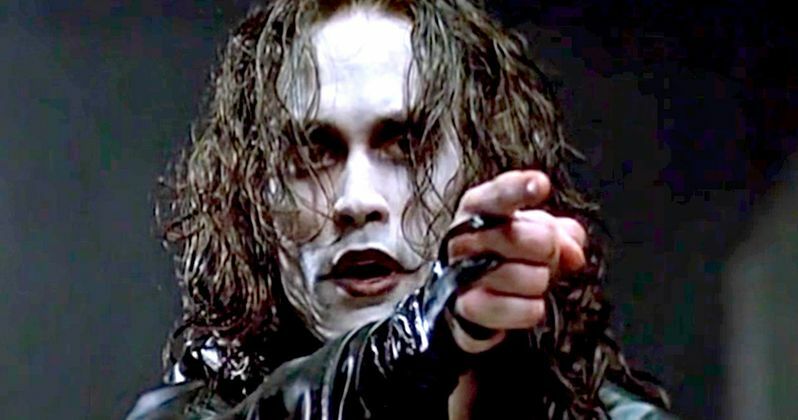 Comic book creator James O'Barr has stated in the past that the script is much more faithful to his original comics than the original 1994 adaptation starring Brandon Lee, but no specific story details have been released at this time. Do you agree with Alex Proyas? Do you think this reboot of The Crow is unnecessary?